Need Some Good Luck (Elephant)? This week, you can get the Good Luck Elephant Racerback Tank Top Indigo for $20! Did you know that our Herbivore Good Luck Elephant design is lucky? It's true! An elephant with her trunk raised means good luck, and this Herbivore design shares that luck with our customers, vegan community, and animal friends. All of us could use some love and luck, but especially elephants. From those imprisoned in zoos and circuses to those being poached in the wild for their tusks, elephants deserve all our love, respect, and luck. With this design we hope to honor these great creatures by letting the world see all their grace and beauty, and giving them good luck in the process. This week, you can get the Good Luck Elephant Racerback Tank Top Indigofor $20! 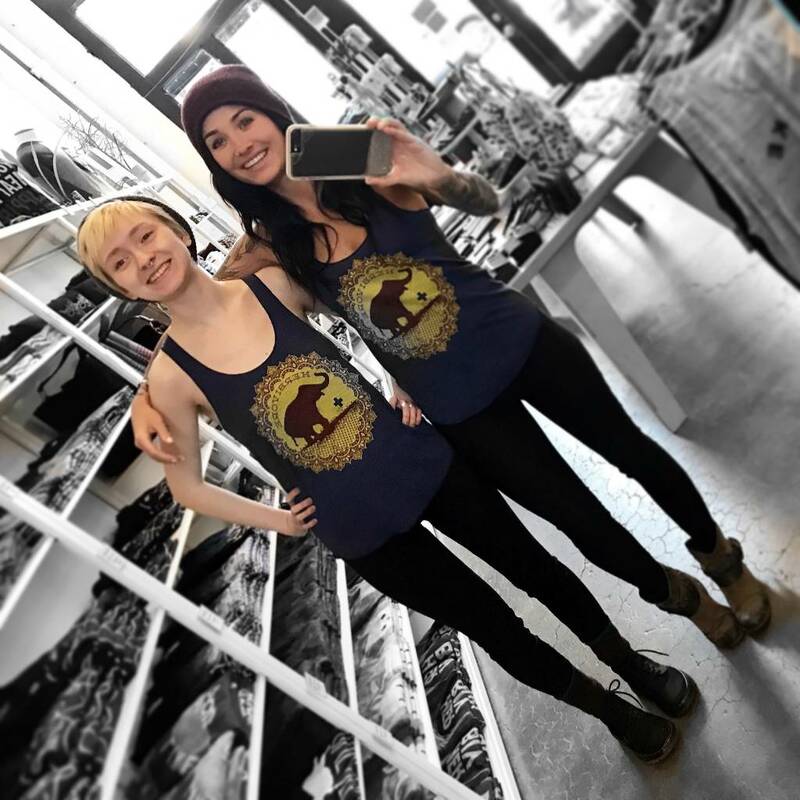 Grab this tank on sale to support the compassionate treatment of all animals, especially these tremendous herbivores!